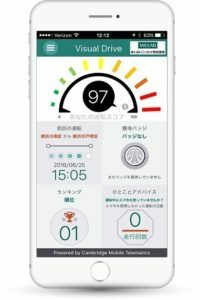 Aioi Nissay Dowa Insurance (ADI), a global insurance company, designed to bring a behavior-based telematics program to Japan has extended a strategic partnership with Cambridge Mobile Telematics (CMT), a leading telematics technology provider. The two companies are eyeing a bigger market share with this collaboration and expand their telematics base, particularly in Japan. With behavior-based insurance quickly gaining momentum, insurers are seeking innovative ways to introduce telematics to their customers. Over the past five years, CMT has pioneered behavior-based insurance with smartphones, and has seen successful deployments with leading customers and partners in North America, Europe, Africa, and Asia. CMT’s DriveWell is a complete telematics and behavioral analytics solution, to improve safety for the connected car world. DriveWell provides actionable insights on driver behavior and vehicle dynamics to auto insurers, vehicle fleets, auto makers, wireless carriers, and government agencies, and is being used successfully in a wide range of applications. According to the Global Status Report on Road Safety assembled by the World Health Organization in 2015, over 1.25 million people die from traffic accidents each year, with millions more sustaining serious injuries. Because of this major global issue, improving driver safety is a primary goal for both organizations. By partnering with Aioi Nissay Dowa Insurance, we are expanding our powerful innovations in smartphone sensing and data analytics with a leading insurer who is committed to improving safety and convenience for their clients. We are focused on aligning with companies that share the same vision – to make drivers and roads safer globally. At the beginning, ADI started to use Visual Drive, a customized version of DriveWell for their company vehicles. Visual Drive allows drivers to monitor hard braking, abrupt acceleration, hard cornering, and phone movement for every trip taken all while having very limited impact on battery life. Each trip is logged and trip summaries are displayed with mapped routes complete with identified events and an overall trip score. ADI expects Visual Drive to contribute to fewer accidents and safer driving.